Description: Card measures 3¾" x 7¼", folded. Printing: Matte (Flat). 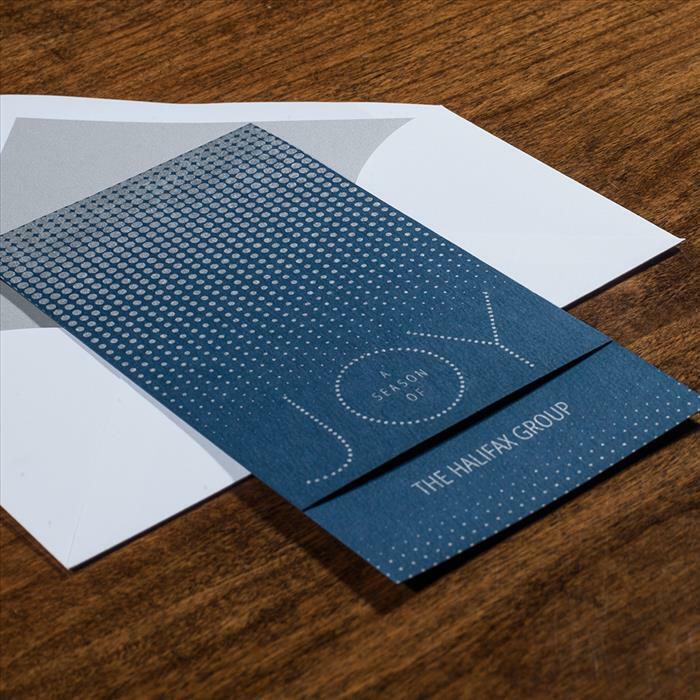 Let your corporate holiday card be the one that gets your customer's attention. Checkerboard holiday cards (and other invitations) stand out from other cards because of their lovely papers, interesting and updated design and optional envelope linings. The wallet flap envelopes will come with your order but can be upgraded to a swiss or french flap. Please specify personalization. Return address on envelope, envelope lining and matching guest addressing also available. Pricing: Price for 50 cards: $161, Price for 100 cards: $229, Price for 500: $875.